Teachers, civil servants, firefighters - members of the NUT, PCS, Unison, Unite and the GMB - look likely to take part in a mass strike on 10 July. It will be the largest co-ordinated action since the collapse of the pension’s dispute two years ago. The strikes still depends on ballots in some unions: Unison’s ballot over local government pay which starts on 23 May, for instance, and the GMB ballot on the same timescale. The PCS already has a live ballot for action but is likely to put a consultative ballot in place. The NUT is already planning action and seems likely to strike on the 10 July if that is when other unions strike. 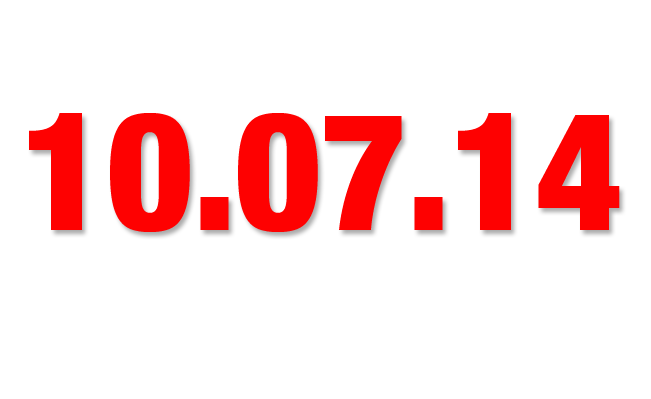 The FBU, is already taking strike action, and has pledged to take action on the 10 July as well. There is also talk of repeating the day of strike action ahead of the TUC national demonstration next October. These possibilities can transform the anti-austerity agenda. Earlier this year there was only the People’s Assembly demonstration on June 21st on the calendar. As the Assembly had decided no matter what others in the labour movement were planning we would call national action against the government. But then the TUC added their autumn demonstration to the upcoming actions. This was a real step forward giving the anti-austerity movement the chance to hit the government twice in a few months with mass displays of opposition to its cuts programme. But now the emerging possibility of strike action just two weeks after the People’s Assembly national demonstration, and more action in the autumn, means that a period of sustained opposition to the Tory coalition is opening up immediately before the general election. The People’s Assembly demonstration is now the springboard for this whole season of protest. The bigger the demonstration, the better the strikes will be. And the demonstration is being actively built by the unions taking the industrial action. The FBU, Unite and others are organising their own blocs within the demonstration. These will be joined by a Stand Up for Education bloc, a Defend the NHS bloc, an anti-war and peace bloc organised by the Stop the War Coalition and CND, and many other specifically designated sections. The NUT have had a very effective town-centre leafleting campaign as part of their Stand Up for Education campaign. They have hit 120 town centres. Campaigns regularly do this sort of activity of course. But unions have found it harder to mobilise members for this kind of weekend activity. The NUT’s success is part of its wider commitment to ‘social movement trade unionism’. They understand that political pressure and support from the wider, often ununionised, working class is vital to success. And it is also vital to the confidence of union members to take strike action. The NUT’s decision to now jointly run such stalls with the People’s Assembly (and there is also talk of the PCS calling on its activists to join in) will mean this demonstration being built in an active way by a joint People’s Assembly/union activist mobilisation which is new in British trade union politics. It’s an approach which can revitalise and rebuild the unions, increase the ability to take effective industrial action and strengthen the whole anti-austerity movement. It’s a strategy which takes the left past the hopeless singing of the doxology about ‘general strike now’ by actually, practically and in the here-and-now building an effective challenge to the government. Of course it would be better if there were more strike action. And there are some cases of workers taking sustained industrial action, for instance on the London underground and by Doncaster care workers. But it is equally obvious that in general while workers are very responsive to the essentially political protest of one day strikes, there is no effective rank and file organisation in any union that can sustain action over a long period without official support. We may now have a sustained period of protest, critical if the tide is to be turned not just against the government but also against the emerging right wing populism of UKIP, in which repeated mass mobilisation can give us a chance to rebuild the strength of the whole movements. The People’s Assembly is not yet a year old, but it is perfectly placed to organise and co-ordinate this kind of resistance. Its national meeting this weekend was attended by delegates from People’s Assemblies all over the country, from unions that back the People’s Assembly and by a large number of affiliated campaigns. The meeting reaffirmed the People’s Assembly’s commitment to action. Slogans are all very well, and necessary. Debate about tactics is vital. But now is, above all, the time for action.